Brooklyn lawyer James Donovan (Tom Hanks) is an ordinary man placed in extraordinary circumstances in DreamWorks Pictures/Fox 2000 Pictures' dramatic thriller BRIDGE OF SPIES, directed by Steven Spielberg. 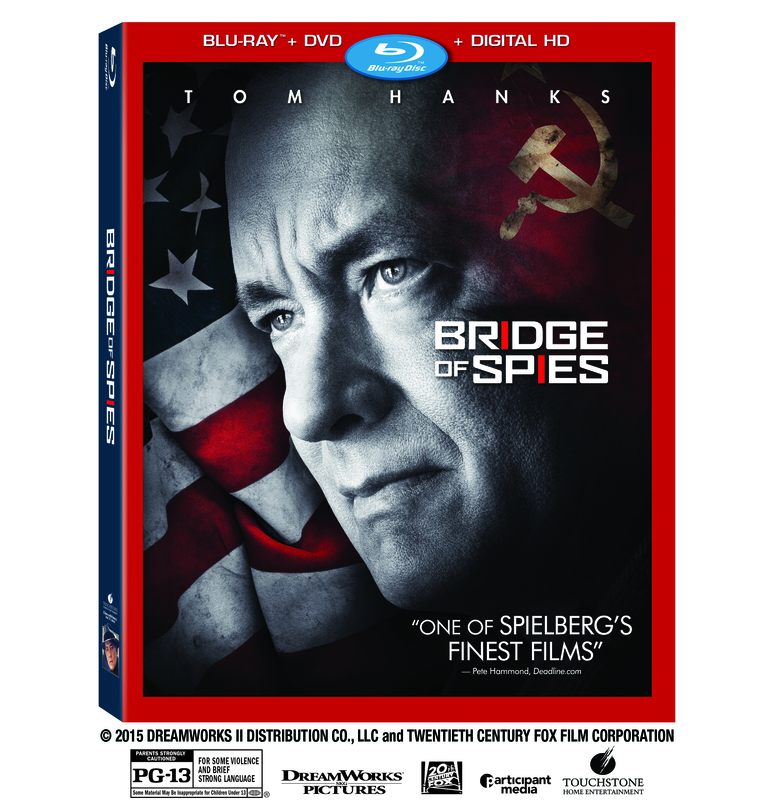 After finding box office success and earning critical acclaim from around the world, the Academy Award nominated BRIDGE OF SPIES is now available to bring home. With its release, CINEMATIC ESSENTIAL is giving its readers a chance to obtain the official version of the film in the form of a Digital HD and Blu-ray Combo Pack (Blu-ray + DVD + Digital). For your opportunity to win a copy, all you have to do is send your name and address to contact@cinematicessential.com. Supplies are limited, so act fast!